For years now, detoxing has become a common aspect of wellness regimes. It is often associated with weight loss and trendy teas and juices. But there’s so much more to the concept of body detox. Detoxing is about purifying the body from within so that it functions to the best of its potential. However, many people consider it as a health craze that is having its run on mass hype. Contrary to such beliefs and notions, detoxing is about maintaining the body systems in great condition. Before you form any idea about detoxing, you need to know what it’s all about and how it can impact your body and your life. Here’s all that you need to know about detoxing. What does detoxing exactly mean? One of the misconceptions about detoxification is that it is related to drug, substance, or alcohol addiction. But nothing can be further from the truth. In reality, detoxification refers to the elimination of the negative effects of diet, environment, and lifestyle on the body. Pesticides, pollutants, junk food, industrial chemicals, smoke, and other such things impact your body in undesirable ways. Detoxification is one of the ways to help your body fight against such unwanted effects. It is a means to cleanse your organs, flush out the toxins from your internal system, and help your circulatory system to function in a smooth manner once again. There’s no denying the fact that the world is a much-polluted place today. Right from the air you breathe to the food you eat, everything leads to the accumulation of toxins in your body. The ensuing result of such toxin accumulation is various types of physical and mental problems and discomfort. Detoxification is a holistic process to keep your body and mind healthy by flushing out the toxins. You need to detox your body in order to reduce the pressure on your vital internal organs involved in eliminating wastes from the body and strengthen your immune system. Is detoxing a short-term or a long-term program? Body detoxification can be a short-term as well as a long-term plan. But the basic aim of any detoxing program is to eliminate toxins from your body. Short-term detox programs generally span over a single day or a few days and often involve a juice diet. Such programs are meant to provide immediate effects to the body. Long-term detox programs span over extended periods of time. These programs often involve making various dietary changes, eliminating the intake of refined flour or sugar, keeping your body well-hydrated, including herbal teas in your daily routine, exercising, meditating to beat anxiety, and other changes. It won’t be wrong to say that long-term detoxing is about bringing a change in your lifestyle so as to maintain a healthy and fit body. Is it possible to detox your body naturally? While there are many professional detox treatments available out there, subscribing to them is not a must for detoxing your body. You can easily opt to detox your body in a natural way right at your home. The best part is that you won’t even have to spend a lot of money for the detoxification process. All you need is a firm determination to cleanse your body and the motivation to maintain it that way and to cleanse it at regular intervals. If you are interested to know how to detox your body naturally, you can get some highly effective tips at https://www.100homeremedies.com/tips-to-detox-your-body-naturally.html. Is detoxing safe and healthy? When performed in a correct manner, detoxing is definitely a safe and healthy process. Each one of us is equipped with a natural detox system in the body. 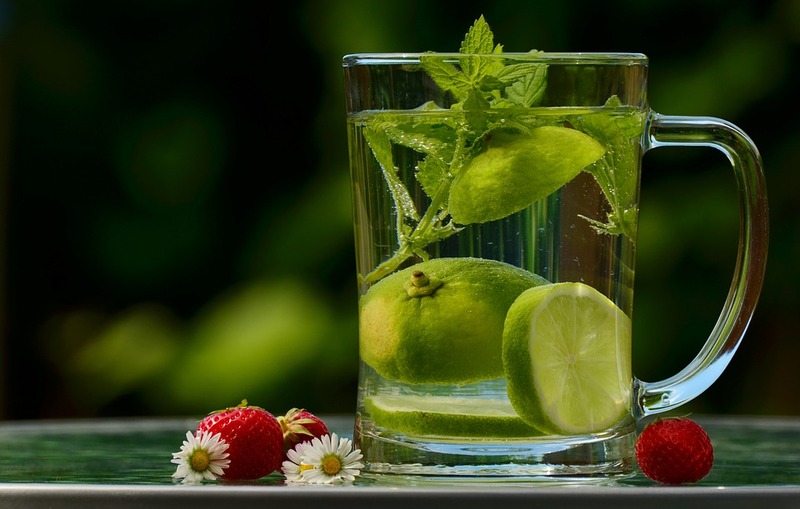 By opting for detoxification, you simply help this natural process of the body to do its work more efficiently and result in a healthier version of you. Remember that if you are suffering from any serious medical condition, you need to consult your medical practitioner first before you start with any kind of detoxing program. What are the different ways to detox your body? Often people believe that detoxification is only about the diet. But your aim of cleansing your body can be attained through a number of ways. Among the popular ways to detoxify are eating the right food, exercising, meditating, maintaining a raw food diet, going for a liquid diet that includes fresh juice of fruits and vegetables, etc. You can also mix and match some of these processes. Another option is to opt for a complete body detox, which is a step-by-step process carried out with the aim to get rid of the toxins in each vital internal organ of your body. What is the next step after detoxification? Environmental toxins: From the fumes of vehicles on the roads to the mosquito repellent you spray at home, everything can be a cause of environmental toxins making their way into your body. Lifestyle toxins: Falling prey to lifestyle toxins is easy since they are found in a wide range of things people use on a day-to-day basis. Such things include processed and packaged food, caffeine, alcohol, chemicals in medicines and cosmetics, cigarettes, preservatives and colorings used in food, unhealthy food selections, and even fresh fruits and vegetables that have been harvested using pesticides. Internal toxins: These are the toxins that may exist within the body as a result of fungal or bacterial overgrowth, by-products of metabolic functions, or undigested food. Your body can accumulate internal toxins due to emotional distress or trauma as well. Once you understand how the toxins are entering your body, you can make changes in your life to prevent their accumulation in your body. Also, maintaining a healthy lifestyle, eating organic food, and detoxing your body at regular intervals can go a long way to keep your body in a detoxified state.